Three-time world champion Mario Mola has successfully defended his crown by winning with an excellent performance in Abu Dhabi. 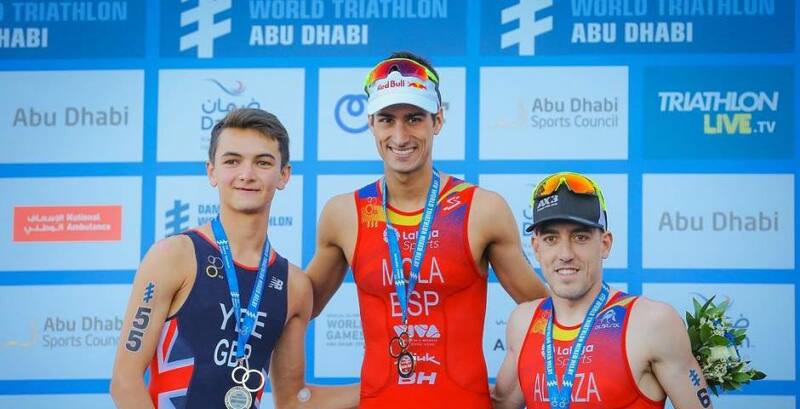 The Spiuk-sponsored triathlete came in ahead of young English athlete Alex Yee in the last few meters, while Fernando Alarza completed the podium after finishing a great race. 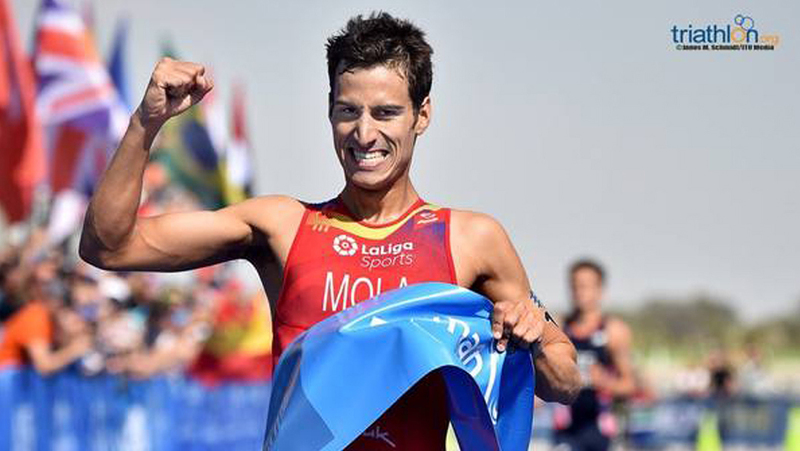 Mario Mola wanted to kick off the season by showing that he is the best and the running favourite. And while he didn't have it easy, he once again came away with a stunning victory. He sealed his win, like so many other times before, in the foot race. And this was in spite of the problems he had when putting on his shoes for the second transition. This caused him to lose time and to have to come back from behind. What's more, this time he only had five kilometres to do it in. The young Alex Yee, another great runner, proved to be a very tough rival. However, the athlete from the Balearic Islands was able to read the race perfectly. He took advantage of the first two kilometres to get close to the Brit, the third kilometre to pass him, the fourth to pick up the pace and the fifth to cross the finish line on his own. It was a spectacular performance. In any case, it would be difficult to say which event was the happiest at Abu Dhabi. Carolina Routier returned to competition in the first race of the WTW in Abu Dhabi, following an accident during training that forced her to miss the entire season. She reported good feelings about the event. The Catalan athlete, who was still not quite 100% following her serious accident and still in the process of recuperation, managed to finish in fifth place in the swimming segment, placing five seconds between herself and the Brit Learmonth and just missing the group of leaders formed by six women who would end up fighting for the victory after riding together in a demanding and highly technical bike circuit. A very promising start that put the icing on the cake of Mario Mola’s career.